Buy the PowaKaddy FW7s Electric Golf Trolley 2019 - 18 Hole Lithium and get 20% off a Powakaddy Bag! Introducing the NEW! 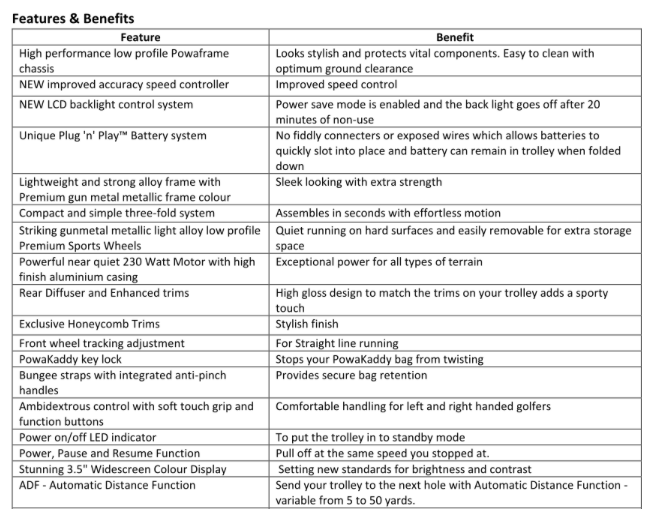 2019 FW7s Electric Golf Trolley from PowaKaddy Golf. This model from the range features an 18 Hole Lithium Battery that's been designed to complete 18 holes of golf on the longest of golf courses! The award-winning New 2019 FW7s offers golfers a host of features. The model is packed with technology and features a STUNNING full colour 3.5” widescreen display, built-in calorie counter, a distance measurement function, a powerful, near silent 230-watt motor and also comes with increased 3-year peace of mind warranty.